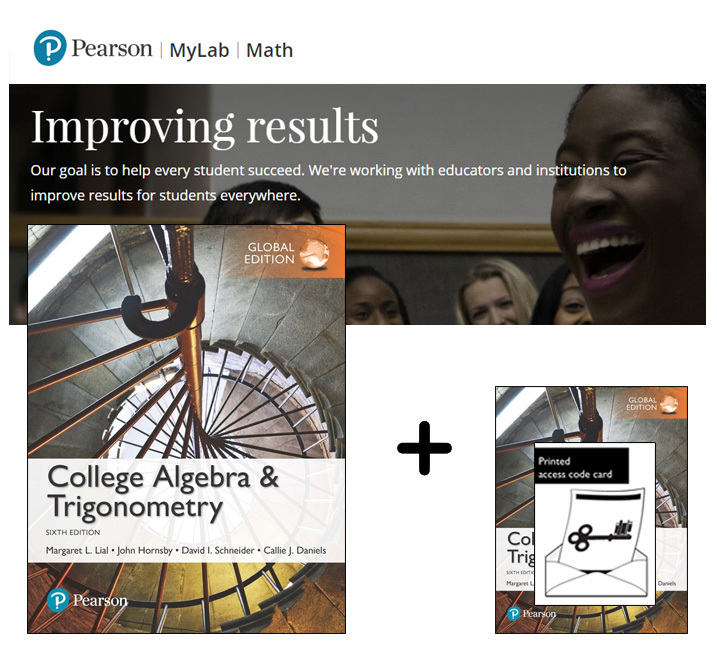 This pack contains 1 copy of College Algebra & Trigonometry Global Edition + 1 printed access card to MyMathLab with eText. The College Algebra series, by Lial, Hornsby, Schneider, and Daniels, combines the experience of master teachers to help students develop both the conceptual understanding and the analytical skills necessary for success in mathematics. With this latest edition, the authors respond to the challenges of new student expectations and new classroom models. The duration of access to MyMathLab is set by your instructor for your specific unit of study.